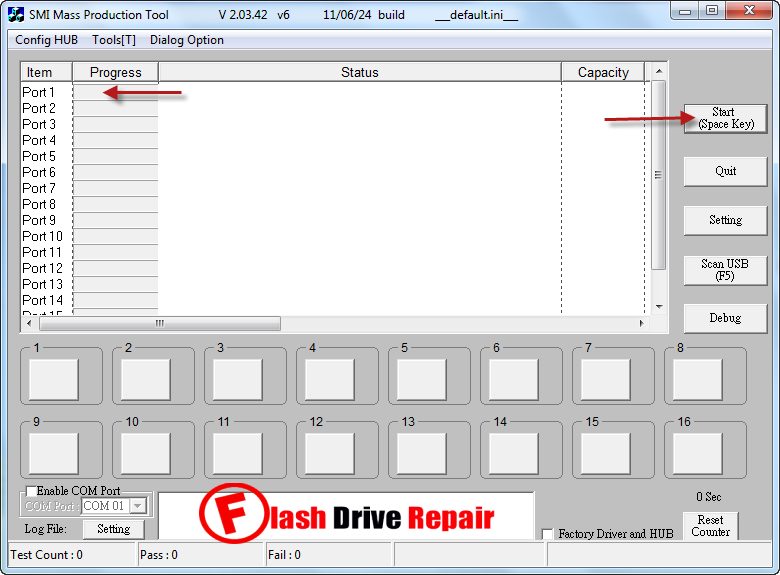 SMI MPTool V2.03.42 k0530 v6 is designed to repair any corrupted flash disk that have SMI SM3255 and SM3255AB . SMI MPTool V2.03.42 k0530 v6 is successfully recover 16GB Transcend Jetflash drive that have chip controller SMI with chip vendor model SM3255AB and also Silicon Motion USB stick have SM3255 AB chip controller . SMI MPTool V2.03.42 k0530 v6 software support repairing Flash drives with chip vendor SMI SM3255 and SMI SM3255AB .SMI MPTool V2.03.42 can format flash drives with low level and high level format .Please you must be sure that your flash drive chip vendor is SM3255 before you using this software .You can use Chipgenius software or USBDeview V2.30 utility. Download SMI_SM3255_MPTool_v2.03.42_v6_k0530.7z from download links below . Insert corrupted Transcend jetflash or Silicon USB drive to your PC . Extract SMI _MPTool _V2.03.42_ k0530 v6.rar folder then open SMI _MPTool _V2.03.42_ k0530v6.exe . 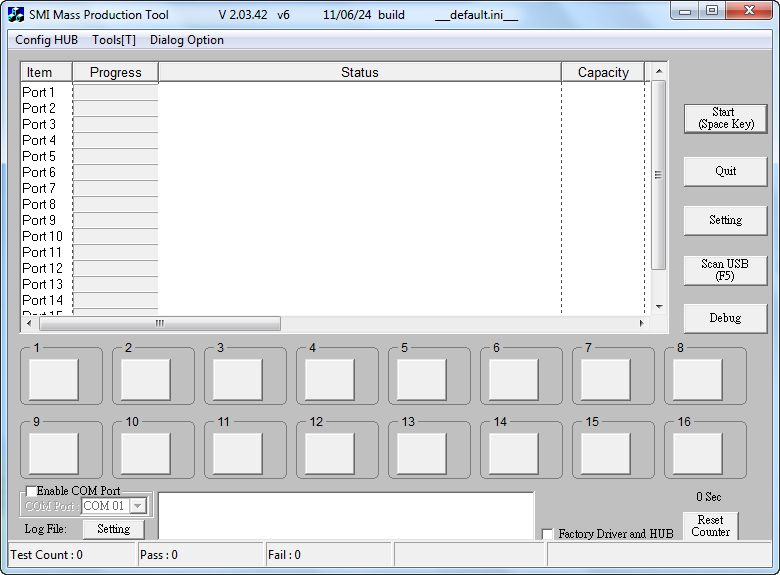 If your flash drive chip controller is supported , you will see your flash information appears on the program interface . Note that all data inside flash drive will be erased . Ciao, posseggo una penna usb, il sistema la trova come dispositivo ma chiede di inserire il drive,non riesco a farla funzionare.